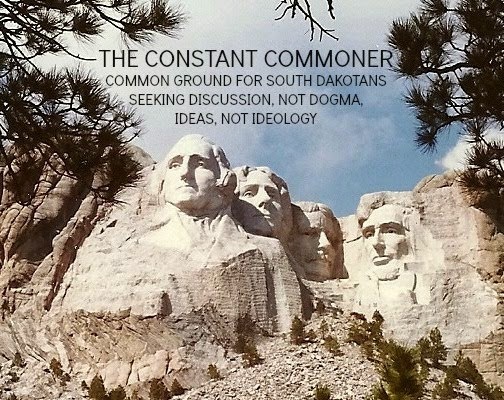 THE CONSTANT COMMONER: I See They Had The Bull-Throwing Competition At The Rapid City Stock Show Yesterday. Congresswoman Noem Was There Taking Credit For Passing The Farm Bill. I also find it interesting that all those "free market" Republicans are expanding the the market distorting heavily subsidized crop insurance program. This just continues to promote mono cropping or corn-bean rotation (actually a colleague of mine calls that a two crop mono-crop) instead of diversified rotations that make more agronomic sense, reduce pesticide use and spread risk. Farmers could do better at using risk management mechanisms available in the market place but have little incentive to do so when risk is virtually legislated out of their business. I agree that planting decisions could be more market responsive. On the livestock front, it looks like we'll be playing some trade-war gamesmanship with Canada and Mexico now that the cumbersome Country Of Origin Labeling rules are in the Farm Bill. Republicans who've generally been free-traders also caved on this one. SD's Congresswoman Noem was probably so desperate to get a Farm Bill passed this election year that she pretty much assented to anything that looked like it would fly. Appreciate the comment.